It was a Facebook posting with a picture of an abused orangutan that introduced me to the devastating global ramifications due to large scale palm oil production. Being an animal lover and a buyer of palm oil for my business, I was compelled to research the validity of this posting. What I found out was animal barbarity was just the beginning of the many atrocities within this industry. I was overtaken by the vastness of this problem because palm oil is everywhere in everything, as it seemed to me. I started looking around my house, and knew all too well that it was evidently in many of my choices for my family. From bath products to food products, many of them disguised under the label of “vegetable oils”. In fact 1 out of 10 products that are found on our grocery store shelves contain palm oil. Further research unveiled human rights violations and critical environmental concerns. Yikes, how could I have been so naive? I have been making products with palm oil in them for decades and am just now finding out about this? The good news is that we now have knowledge and a greater understanding of truths within this industry. We also know that there are now dominant companies that have transformed from villain to protector of these precious lands, the people and the animals that reside in them. I have made new choices for my family and my products that I make, and you can too. Our goal here is to educate so that we can confidently make better choices, and ultimately make a difference in our world. That’s right, your choices make a difference too! Malysia and Indonesia are the biggest producers bringing in a whopping 90% of worldwide production. These big production sites are what I refer to as “Big Palm” and where most of the problems occur. I started understanding the vast environmental issues when I learned this statistic: A rainforest with the area equal to the size of 300 soccer fields is being destroyed every hour. The rainforest is home to many endangered species and plants. There are unethical practices called “slashing and burning”, which is detrimental to all plants and animals where it occurs. Deforestation of these precious lands cause irreversible loss of biodiversity. Another environmental concern is the release of massive amounts of carbon due to the draining of peat swamps. These peat-swamps have been storing carbon dioxide for centuries. When they are disturbed the carbon dioxide then gets released. This coupled with global transportation makes palm oil responsible for causing 10 % of the world’s greenhouse gas emissions. Among the human rights issues are forced labor and “land grabs” on indigenous tribal lands. What are land grabs? Wikipedia defines as: Land grabbing is the contentious issue of large-scale land acquisitions: the buying or leasing of large pieces of land in developing countries, by domestic and transnational companies, governments, and individuals. Ellegal acquisitions of land for palm production occur. Big production companies will take over plantations or lands that have been nurtured for generations by their ancestors. Most of these problems occur in places where there are no governmental papers to prove that this land is the current residents’. Also, in places where there is not a strong community bond. Again, Malaysia and Indonesia are among the most encroached upon. So “Big Palm” threatens the people and they are consequently forced to leave. Sometimes, Big Palm will offer bribes to people within these communities, with no reciprocation for compensation. Ok now that we’ve been informed of all these staggering statistics, let’s talk about what’s happening now to improve the situation. Nonprofit organizations have formed and tribal communities are also banning together. Some of these nonprofits have been around for 25 years some only 10. Some are pro palm and some against palm, but all of them are working to improve the situation, and that to me is good. Most of them raise money to buy land so that it is protected. A lot of them have started their own alliance of farmers that must meet strict standards in order to receive a certification from the organization. In order to maintain their certification, they must be transparent as a company. Meaning they must have documented proof that the land has been purchased fairly, honest wages and compensation is given to their employees and of course their practices are coherent with environmental sustainable standards. The RSPO in among these nonprofits and was formed in 2004. RSPO stands for Roundtable for Sustainable Palm Oil. Things get kind of tricky with this corporation because it was founded by many of the buyers of “Big Palm”. They include:Wilmar International, Cargill, Nestle and Unilever, and the label association is chaired by a senior executive of the Unilever Group (Dove, Knorr, Rama, etc.). RSPO has been scrutinized by organizations that have a zero tolerance to palm oil. The “no palm” organizations say that RSPO is mainly just “greenwashing” to keep their products selling. Neither pro palm or against palm are being entirely truthful. RSPO does have to adhere to transparency and sustainable practices in order to maintain their label. 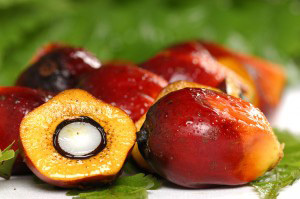 The RSPO is now producing 16 % of the world’s palm. Yes, they still have a lot of work to do and their environmental standards do need to be higher. But I think they are making significant changes within this industry and I do believe that by supporting them, their achievements will grow to make even more significant changes in the future. Make sure that your company web site is SEO-friendly. The most effective solution to meet your needs might be a custom solution. Quality articles is tthe secret to be a focus for the people to pay a quick visit the site, that’s what this web page is providing.